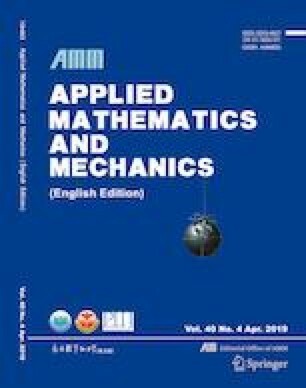 In this paper, the control of turbulent channel flow by space-dependent electromagnetic force and the mechanism of drag reduction are investigated with the direct numerical simulation (DNS) methods for different Reynolds numbers. A formulation is derived to express the relation between the drag and the Reynolds shear stress. With the application of optimal electromagnetic force, the in-depth relations among characteristic structures in the flow field, mean Reynolds shear stress, and the effect of drag reduction for different Reynolds numbers are discussed. The results indicate that the maximum drag reductions can be obtained with an optimal combination of parameters for each case of different Reynolds numbers. The regular quasi-streamwise vortex structures, which appear in the flow field, have the same period with that of the electromagnetic force. These structures suppress the random velocity fluctuations, which leads to the absolute value of mean Reynolds shear stress decreasing and the distribution of that moving away from the wall. Moreover, the wave number of optimal electromagnetic force increases, and the scale of the regular quasi-streamwise vortex structures decreases as the Reynolds number increases. Therefore, the rate of drag reduction decreases with the increase in the Reynolds number since the scale of the regular quasi-streamwise vortex structures decreases.